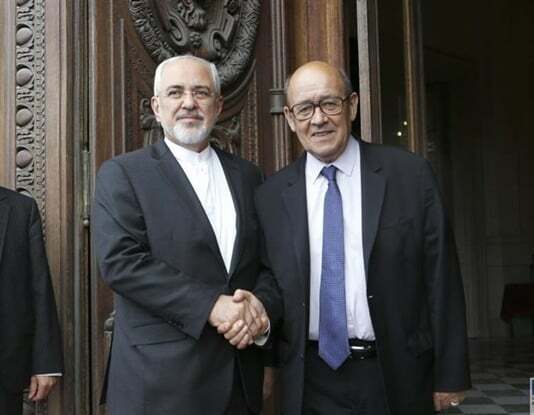 French Foreign Minister Jean-Yves Le Drian has assured his Iranian counterpart Mohammad Javad Zarif that the EU is working to ease doing business with Tehran. In a Saturday phone conversation, the two sides discussed the latest developments in bilateral relations, the Iran nuclear deal and other topics of interest. The French foreign minister stressed that Paris and other European countries are determined to create special mechanisms for Iran to enjoy the economic benefits of the nuclear deal. The mechanism, known as Special Purpose Vehicle (SPV), is designed to circumvent the sanctions, under which Washington can cut off any bank that enables oil transactions with Iran.